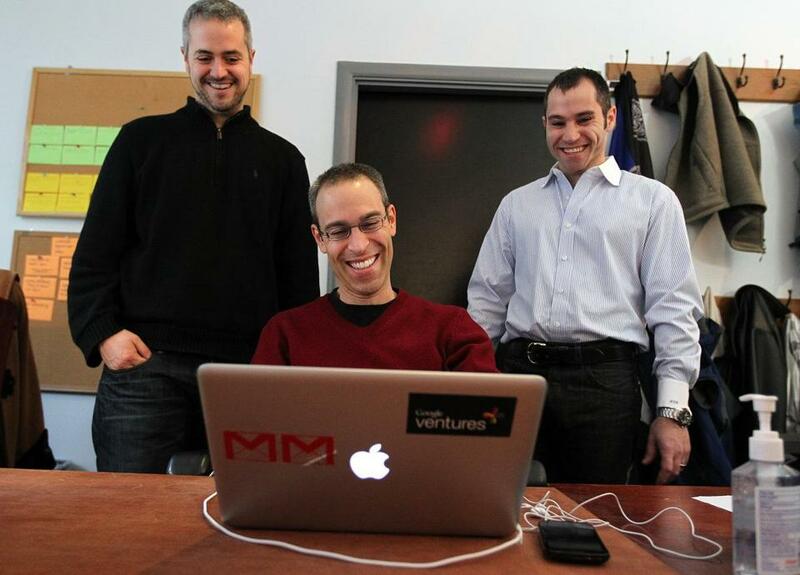 Michael Margolis (center) of Google Ventures helped CustomMade Ventures cofounders Mike Salguero (left) and Seth Rosen tweak their site. CustomMade Ventures Corp. is a Cambridge Internet start-up that had a problem: 97 percent of visitors to its website weren’t ordering anything. Another Internet company - one that knows a thing or two about attracting users - found a solution. Google Inc., whose Cambridge office is nearby in Kendall Square, helped redesign CustomMade.com so that wherever someone clicks, they know exactly how to get handmade goods from the site, which is designed to connect customers with crafters. A week after the makeover, CustomMade saw a 200 percent jump in the number of people logging in to start projects, cofounder Seth Rosen said. CustomMade is one of 11 Boston-area start-ups and more than 90 nationwide that get special attention from the Internet search giant. In November, Google’s venture capital arm, Google Ventures, was the lead investor in a $2.1 million round of funding for the company, which has 24 employees. While private venture capital firms and the investment wings of big corporations are staffed with serial entrepreneurs or former technology executives who promise tutelage and a willingness to share their Rolodexes, few have what Google has: a deep bench of A-list technology talent that it loans to companies in its portfolio. And for start-ups, that can be as important as a cash infusion. For CustomMade, Google Ventures sent in one of its research partners, Michael Margolis, a developer who helped design Google’s e-mail service, Gmail. 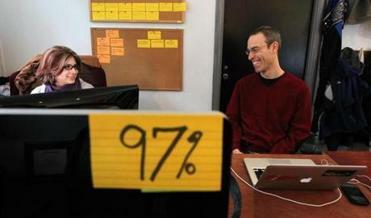 Margolis spent three days working at CustomMade’s Cambridge office on its 97 percent problem. Before its new site was launched, Margolis conducted user tests to tweak the site, based on potential customer responses. And it’s not just Margolis. CustomMade is one of more than 90 start-ups nationwide that get special attention from Google, because Google Ventures has invested in the company. Google Ventures has about 50 people nationwide, including seven investors, who advise portfolio companies, and it liberally borrows from Google, which has about 32,000 employees worldwide. It even sent a computational biologist to help a Hanover, N.H., start-up called Adimab, which uses specialized technology to perform research for big drug companies. 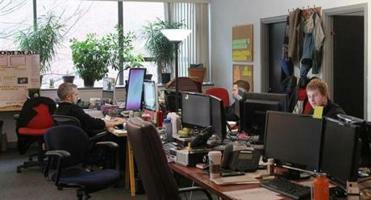 “No other VC firm can do that,’’ said Rich Miner, one of two Google Ventures investors in Cambridge. Miner, a former serial entrepreneur who helped develop Google’s mobile platform, Android, was instrumental in Google Inc.’s local expansion. Some of its other local investments include SCVNGR Inc., the location-based gaming company; Recorded Future, a Web analytics firm; EnglishCentral Inc., which uses videos to teach English; and HubSpot, a digital marketing agency. Some say much of what makes Google different in the tech venture capital community is an intense focus on its portfolio companies’ underlying technologies. The growth of Google Ventures, which also has offices in Mountain View, Calif., Seattle, and New York, and an investment fund of $200 million, comes as corporate venture arms are increasingly competitive with private investment funds. In addition to Google, Dell Inc., Yahoo Inc., Intel Corp., and EMC Corp. have venture divisions. While it does not make direct investments in start-ups, Microsoft Corp.’s BizSpark program connects emerging companies with Microsoft tech expertise and helps them find investors. So far, Google has not acquired any of the companies in which its venture arm has invested. But that is not to say it won’t eventually do so, especially as Google Ventures says it plans on making two new deals per week this year. Even though it invests in companies that have little to do with its existing business, Bussgang said, with Google’s ubiquity across the Internet, any start-up that turns into a Web success can be seen as beneficial. Google’s vast riches may also be influencing how it approaches investments, said Howard Anderson, senior lecturer at the MIT Entrepreneurship Center and cofounder of Battery Ventures, a Waltham investment firm. “They aren’t that pushy for a company to grow like a typical VC might be,’’ he said. Google reported $9.7 billion in net income in 2011, making it one of the world’s most profitable companies. When Matthew Bellows, chief executive of Yesware Inc., a Cambridge start-up that customizes e-mail for sales people, met Miner after Google invested $400,000 in his company, Miner said the company should wait 30 days before launching its product. But for a young company, having Google Ventures as an investment partner can do more than just add talent and time. It lends Google’s brand.